The view of the old town from Marjan Hill. 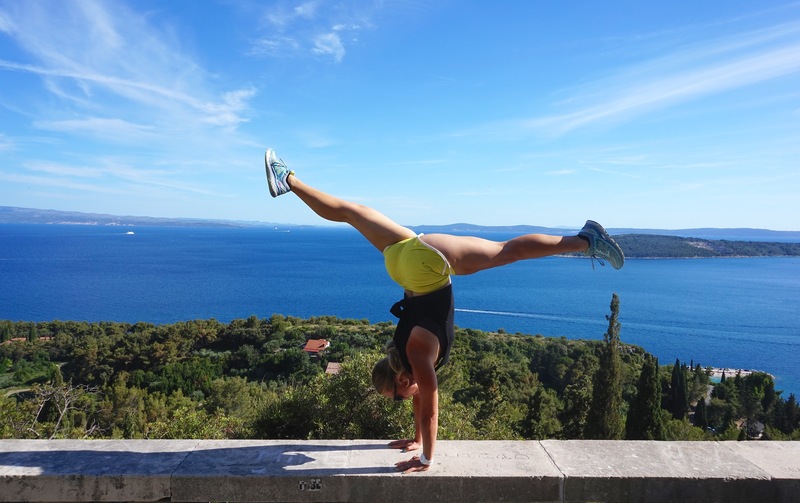 Marjan was by far our favorite area of Split, and it certainly kept us in shape! We recommend climbing the stairs from the western side of the old town. You’ll pass by Restaurant Fife and head down Solurat ul., which turns into Marasovica ul. The stairs will be on your right. Once you get to the edge of the park, take a pit-stop at the Teraca Vidilica Café for a well-deserved espresso and a killer view of the old town. But don’t get too comfy, because that’s only the beginning. On either side of the café you can begin your ascent. From here, paths break off intoa few different directions, but we highly recommend following where the stairways take you: all the way to the highest point of the park, where you’re greeted with a tall white cross, a commanding Croatian flag, and some spectacular views all around. Keep heading in the same direction (west). You’ll pass by cute mini churches, like the Church of St. Jerome, hidden caves, and plenty of spots to take in the scenery. From up here, you can really appreciate the breathtaking blues of the Adriatic. Continue to make your way to the coast, as the main road starts to curve north and then east. Keep following that path all the way to the northeastern entrance to the park, near the Prva Voda beach. We estimated this whole hike to be about 10km (6 miles). Keep in mind that this is not a complete loop, so you’ll have to walk more to get back to the start or the center of the old town. 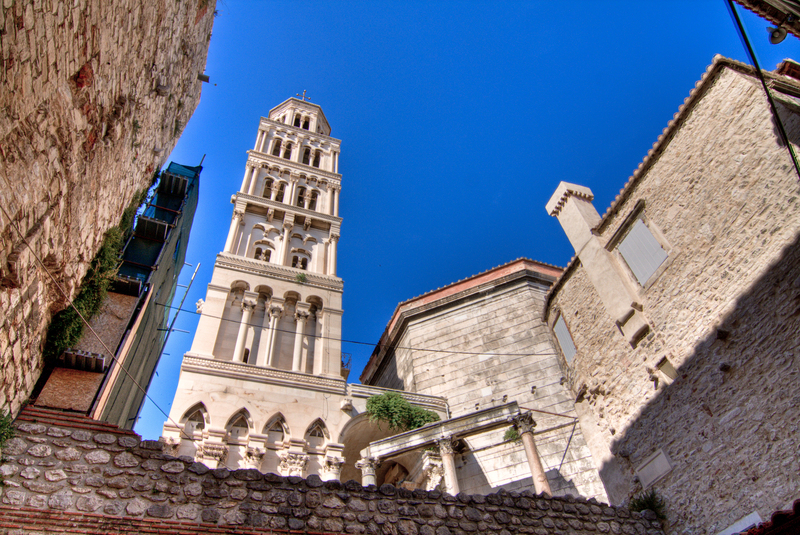 Stunning remnants of the Roman empire serve as the centerpiece of Split’s old town. The palace was built for Emperor Diocletian in 305 AD to be used as his plush retirement home. 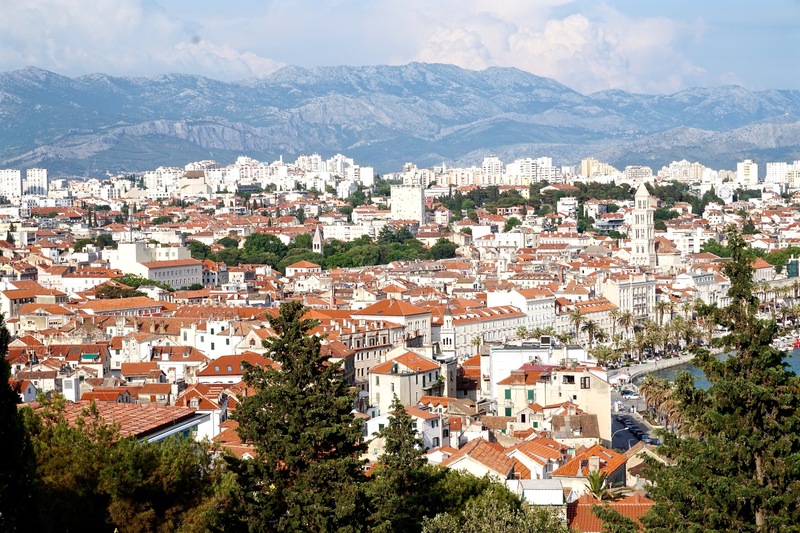 Now it’s Split’s main attraction, and you’ll actually be winding your way through the palace and fortress ruins as you explore the town’s many posh shops, bars, and restaurants and hidden passageways. There are even some dressed-up gladiators roaming around for that perfect cheesy photo op. 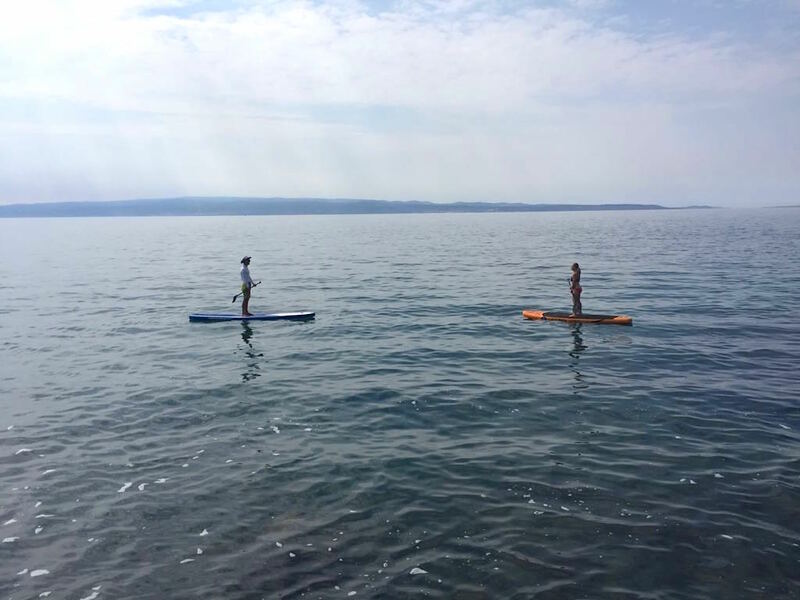 The calm Adriatic waters serve as a perfect surface for your first try at standup paddleboarding. There are a few companies that offer lessons and tours around the coast. Small went on a paddleboarding journey with Given2Fly Adventures and also tried out some SUP yoga. Tours start at Bacvice Beach and last about 2 hours. They also have another longer tour that takes you around Marjan Hill. 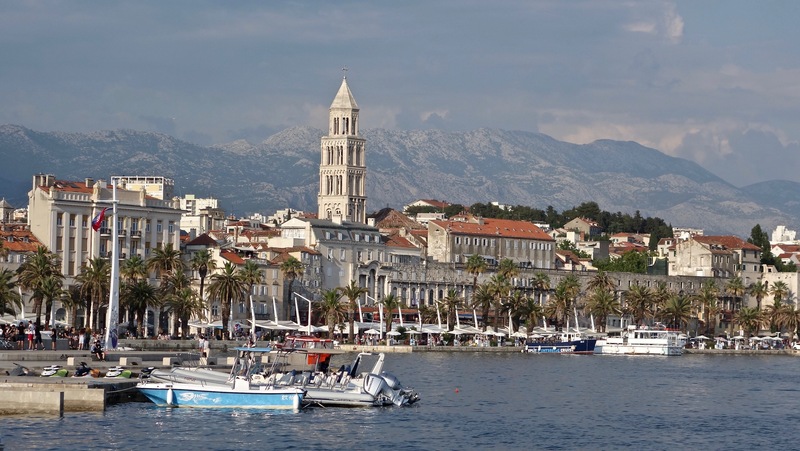 This is a wonderful way to see Split and its spectacular coastline right from those gorgeous blue waters. 4. Walk Along the Riva, Enjoy a Coffee and Eat Well! After trying your hand at paddleboarding, head back on land to the Riva, the grand waterfront promenade squeezed between Diocletian’s Palace and the sea. This is a great place to grab a coffee and people-watch. But, for Split’s best coffee (with a slightly less dramatic view), we suggest heading over to the eastern edge of the old town, near Park Josipa Jurja Strossmayera, to the tiny 4coffee soul food stand, where you’ll find Split’s best espresso-style drinks. We also recommend walking about a block in from the Riva to hit up our favorite lunch joint: Mama Burger Bar. These guys offer some of the best deals and greatest salads and burgers in town. This food in Split can be quite pricey, and Mama’s quickly became our go-to spot. 5. Hop on a Ferry to Nearby Islands—Especially the Underrated Solta! Very happy to be enjoying some local wine at Solta’s Maslinica Beach! 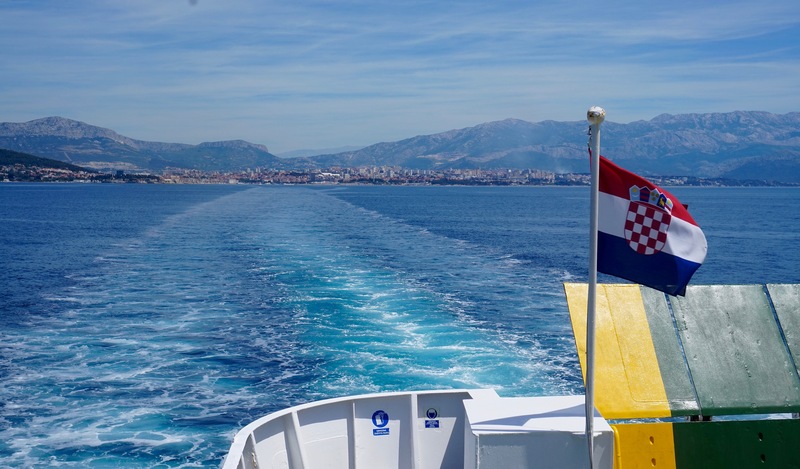 Split is the jumping off point for many of Croatia’s most popular islands including Brac and Hvar. However, we chose to take a day trip to the smaller island of Solta, which is just under an hour on the ferry from Split. 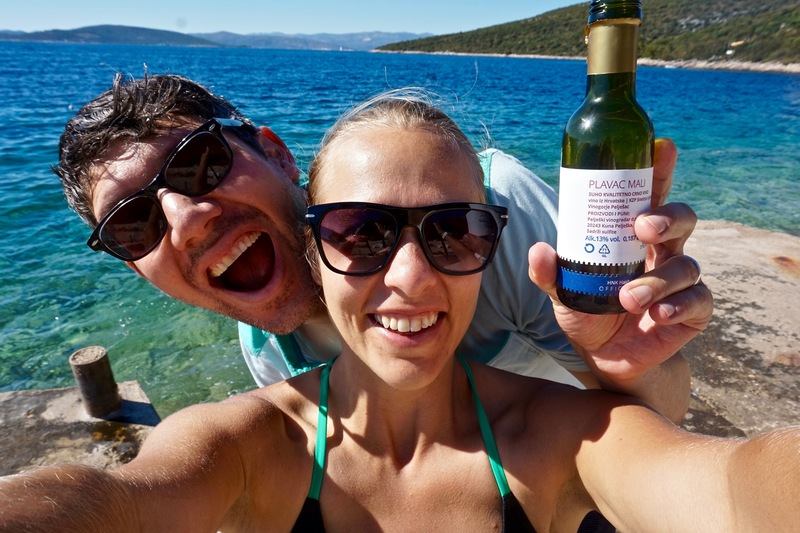 From the ferry landing in Solta, we took a bus to Maslinica to enjoy local seafood and pasta for lunch and relax at the beach, enjoy some local wine, and swim in some of the clearest waters we’ve ever soaked in! See more from Solta in our video below. Next Next post: The Best Way to See Puglia, Italy: On a Scooter!